Looking south from France in December 2015, how can you not be jealous of Spain? Sure, there’s no need to be envious of the weather, the wine and the beaches. We’ve had more than a fair share of these, too. There is also no reason to minimise the pressing problems of Spanish society, starting with a scandalous unemployment rate among the young. Still, watching the general elections from here, there are some good justifications for outright jealousy. The most striking feature of Spanish democracy in 2015 is renewal. Compared to the sclerosis of the French political class, prisoner of the straightjacket of its presidential regime and increasingly disconnected from the society it is supposed to represent, Spanish democracy seems to have found a way to make the democratic promise of participation somehow credible again. And the renewal comes from the middle of society, which may have lost at least partly faith in the traditional parties, but not in democracy. Some will be quick to point out that the fragmentation of the party system may well mean that Spain will be ‘ungovernable’ for some time. So what? The French Fifth Republic makes sure it is always governable, but the price that democracy has to pay in this system to stability is horrendous (and increasing). When it comes to compromise-building, there will be some learning by doing for the new (and the old) Spanish parties, but that’s a much better prospect than the non-learning of Sarkozy-ridden Republicans and the non-doing of Socialists who don’t even dare call themselves Social Democrats for fear of blasphemy. At the risk of repeating myself: seen from France, Spanish politics is refreshing. My external perspective may be distorted, but the impression is that politics in the Spain of 2015 – even based on indignation with the traditional ruling caste – liberates positive political passion and energy rather than the apathy of disgust. Spanish voters seem to be voting FOR a better future, not AGAINST a threatening one. Although faced with serious economic problems, Spanish society does not seem to feel the need for seeking shelter in the treacherous embrace of exclusive nationalism. There is, as far as I know, no ‘Frente nacional’ flourishing on anti-Islamic identity rhetoric, no ‘Alternativa para España’ mobilising hateful demonstrations against refugees, no ‘Derecho y justicia’ waging a reactionary religious war against cultural decadence, and also no ‘Partido de la Independencia del Reino’ for whom the European Union is the devil incarnate. Looking south from France in December 2015, I’m impressed. Fingers crossed your second transición works out fine. I’d be even more jealous, but at the same time so relieved to see that democracy in Europe still has some good surprises up its sleeve. at ESSCA School of Management. 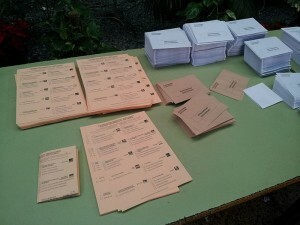 This entry was posted in Current Affairs, Democracy & Citizenship and tagged citizenship, democracy, elections, Spain. Bookmark the permalink. Next: Should the EU grant China Market Economy Status? What Machiavelli would say.